Yuri Herrera's US debut last year, Signs Preceding the End of the World, was one of our bestselling books in Oakland. This was no one-hit wonder, says Brad, and The Transmigration of Bodies will prove it. 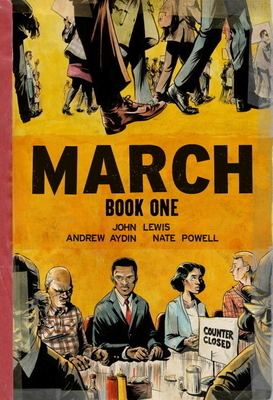 March on, John Lewis! March on! Get to know Rep. John Lewis (D-GA). 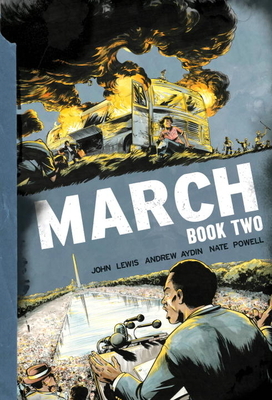 Read more about March on, John Lewis! March on! You know this already, but when Brad likes a book he really likes a book. Here he is talking about Max Porter's novel, Grief is the Thing With Feathers. Max & Anthony Marra will be in conversation in Oakland on Friday, June 24th. There is so much more to say about this wonderful debut. Since our founding in 1974, we have worked to rewrite the rules and empower communities to choose their own future. Across several vital economic sectors, we help break the corporate stranglehold that extracts wealth from local economies and undermines democracy. We give communities the tools to build a strong local economy themselves. From banking to energy, healthy soils to community-owned Internet networks, time and again we have shown that when we level the playing field for individuals and businesses, we improve our economy and the quality of life for all citizens. To many, ILSR is one initiative that they have followed, learned from, and tried to embody. But we are much more than that. We are a network of initiatives with a coherent philosophy and strategy that link all things community – utilities, internet, shopping, banking, trash, recycling, and – the most important part piece – YOU. We need your help to expand our reach and multiply our successes. Alright, alright, Internet, maybe you're not so bad after all! 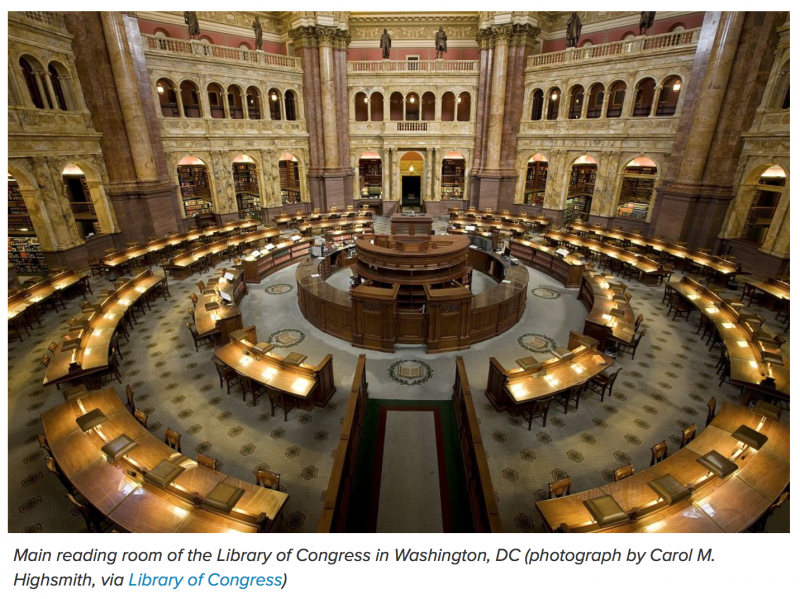 "Yesterday [4/15] selections from the Archive of Recorded Poetry and Literature at the Library of Congress became available to stream online for the first time — the launch of a project digitizing some of their 2,000 recordings from the past 75 years of literature. “I think that reading poetry and prose on the page is important, but there’s nothing that can replace listening to literature read aloud, especially when it is read by the creator of the work,” Catalina Gomez, project manager for the process of putting the archive online, told Hyperallergic." A bit like the Cornell Lab of Ornithology's massive collection of animal calls . . . but, well, literature. Okay, fine, Internet! You're doing good work. "This book is the best work of fiction I read in in 2015." Chances are that if you've been in the Oakland store the past year you've either heard or read Brad commenting on John Keene's story/novella collection, Counternarratives. Read more about "This book is the best work of fiction I read in in 2015." The first meeting of DIESEL, A Bookstore in Brentwood’s Mystery Book Club will take place on Friday, June 3rd, at 7 pm in the south courtyard of the Brentwood Country Mart. 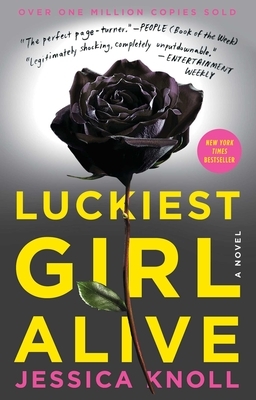 We’re going to be discussing Jessica Knoll’s Luckiest Girl Alive. The group is free and meets on the first Friday of every month. RSVPs are requested so we have an idea of how many people to expect. If you have any questions, feel free to stop by and ask, call the store at 310-576-9960, e-mail brentwood@dieselbookstore.com or tweet at @dieselbrentwood. The group is hosted by Diesel Brentwood bookseller and social media editor Alex Melnick. Alex is a veteran bookseller, a recovering computer programmer, and a Santa Monica native. You can read about some of his favorite books here. Feel free to e-mail him with book club questions and suggestions at alex@dieselbookstore.com or tweet at @aemelnick. P.S. At each meeting, we will decide on the book for a later month. Come prepared with suggestions! Every day is a good day to listen to James Baldwin read. 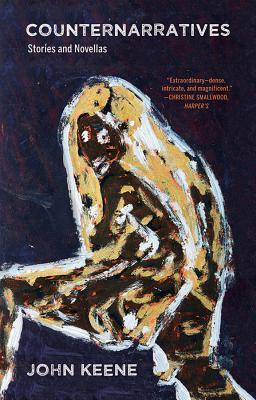 Note: Oakland's Queer Person of Color Book Group will be discussing this very book on Monday, March 28th at 7pm. The group, like all our groups & readings, is open to the public. Hope to see you there, East Bay! In short, she's a poet. Though a poet you may have never heard of: who hung around the likes of Emma Goldman, Marianne Moore, and William Carlos Williams; who has been called the nearest prototype in her time of the proletarian poet of class conflict; who extended her youth by claiming to be ten years younger, avoiding the taboo of being a single woman over forty in the early twentieth century; who was born in Dublin and once married to a New Zealand miner -- the stuff of a revolutionary. Unjustly pushed out of critics' circles, Lola was a strong voice in activist circles and a prominant poetic archivist of the human landscape of early twentieth-century New York City. Recently she has resurfaced with a few collections and an extensive biography, Anything That Burns You (2016), penned by Terese Svoboda. Robert Gray over at Shelf Awareness talked with Svoboda about Ridge's life and how it occurred that so few of us were hip to it. "I touch on the highlights of her life in the opening few pages: starting with her immobile under rearing police horses at the demonstration against execution of Sacco and Vanzetti," Svoboda told me. "I talk about her trek from New Zealand, dropping her son off at an orphanage, working for Emma Goldman and Margaret Sanger, and turning into the doyenne of poetry as a friend of Williams, Moore, Jean Toomer and Hart Crane -- but then I have to go off book and summarize about her struggle with the wealthy Harold Loeb to keep the modernist movement going, her drug use, wandering penniless through Baghdad and taking a lover in Mexico, and the various shenanigans of the poetry world. While daunting, that's what I use to tease them into the q&a. 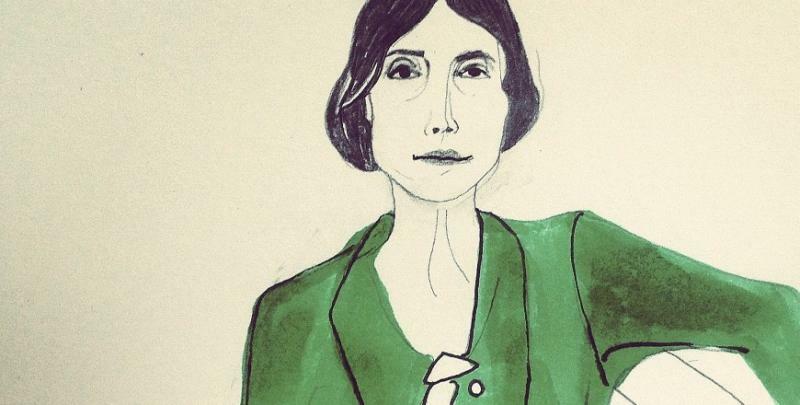 Unlike the biographies of many other writers, hers is so full of incident it seems to have been lived by at least two people." 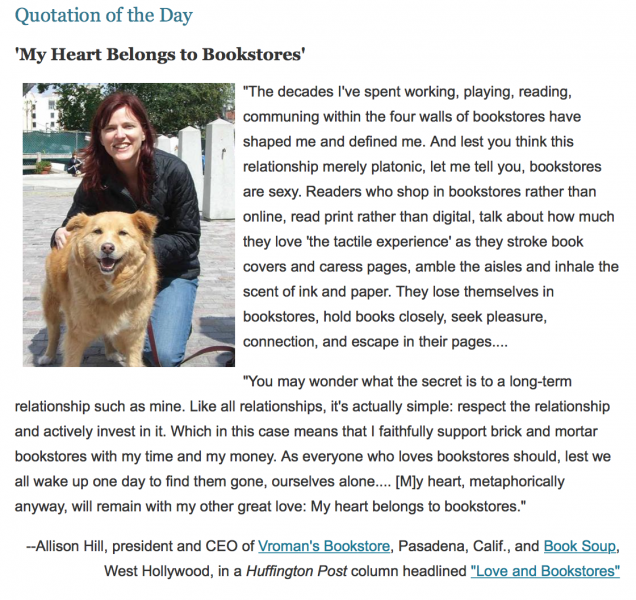 "For booksellers, handselling titles they love means honing the irresistibility factor so potential readers feel they need a particular book. I asked Svoboda how she would approach the handselling challenge with Anything That Burns You. 'I'd say the book turns on its head the idea that poets are extraneous to the cultural conversation,' she replied. 'Lola lived her wild life dedicated to freedom, and that's what America was founded on, and that's what modernism in America was all about, and that's what poetry encourages.'"